In this article, we will see such kind of frequently asked interview questions and answers from UNIX and Linux operating System. Questions are very fundamental in nature and not limited to Linux only and equally applicable to other UNIX operating systems e.g. Solaris, IBM AIX etc. Many of these UNIX questions are asked during various interviews on companies like TCS, Infosys, Citibank , Wipro, Capgemini and Tech Mahindra. As I said they are very fundamental and can be asked in any company. If you come across any other frequently asked Linux questions which are not on this list feel free to suggest. Here is my list of frequently asked UNIX and Linux interview questions and answers. All these questions are based upon fundamental commands and concepts which are a must for working on any UNIX operating system e.g. Solaris. 1) How to find all the links in a folder in UNIX or Linux ? This is a tricky UNIX question as there is no specific command to find all symbolic links. Though you have ln command for creating and updating soft links but nothing which gives you all the links in a directory. You need to use ls command which lists everything in the directory and then you need to list all the links, as they start with "l" as first characters, as shown in above article . 2) How to find a process and kill that? Another classic UNIX interview questions. Answer of this question is simple if you are familiar with ps, grep and kill command. by using "ps -ef" you can get a list of all process and then use grep to find your process and get the PID of that process. Once you got PID you can use the kill command to kill that process as shown in this example of kill command in UNIX. 3) How to run a program in the background in UNIX or Linux ? an easy UNIX or Linux interview question, only when you know. You can use &amp; to run any process in the background and then you can use jobs to find the job id for that process and can use fg and bg command to bring that process into foreground and background. See how Linux works to learn more about running a process in the background. 4) How to sort the output of a command in reverse order in Linux or UNIX ? One more Linux commands interview question which checks knowledge of frequently used command. you can use sort command in UNIX to sort the output of any command by using PIPE. By using -r option with sort command you can sort the output of any command in reverse order. See these sort command examples for more details. 5) How to create an archive file in UNIX or Linux Operating System ? Another interview question based on knowledge of UNIX or Linux command. you can use the tar command to great archives in UNIX or Linux. you can even combine tar and gzip to create a compressed archive in UNIX. 6) What is the meaning of a file has 644 permission ? To answer this UNIX or Linux interview question, you must know basics of files and directories in UNIX. The 644 represents permission 110 for the owner, permission 100 for group and 100 for others which means read + write for an owner who creates that file and read only permission for group and others. 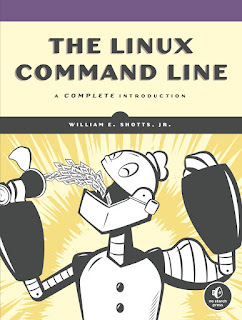 You can also see The Linux Command Line: A Complete Introduction, a book to learn more about essential shell commands in Linux. 7) How will you remove empty files or directories from /tmp ? You can use the find command to find all the empty files and directory and then combine the output with xargs command to remove all empty files from /tmp or any other directory in UNIX. See how to delete empty directory and files in UNIX for exact command and to answer this UNIX command interview questions in detail. 8) I have read permission on a directory but I am not able to enter it why ? One more tricky UNIX questions. In order to get into a directory, you need to execute permission. if your directory does not have to execute permission then you can not go into that directory by using the cd command. read UNIX files and directory permissions for more information. 9) How do you find all files which are modified 10 minutes before ? This is another the Linux interview questions from frequently used command e.g. find and grep. you can use -mtime option of the find command to list all the files which are modified 10 or m minutes before. see these find command examples for more details. 10) How to do you find the size of directory in UNIX or Linux ? This is another tricky and bit tough Linux interview question as popular ls command doesn't show the complete size of directories in UNIX. you need to use du command to get a full size of directories including all subdirectories in UNIX. See How to find directory size in UNIX for exact command and detailed explanation. 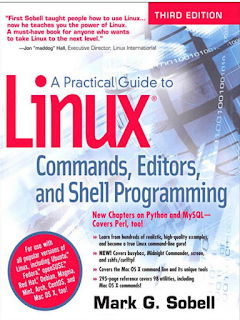 You can also check out Practical Guide to Linux Commands, Editors, and Shell Programming to learn more about essential Linux commands. 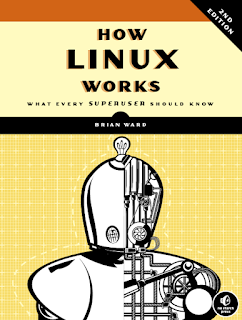 One of the best book on Linux. 11) How do you find all the process listening on a particular port in Linux? Here 25314 is the process id of a tomcat server running on Linux. Since tomcat is a Java web application it started with java command and that's why you see 25314/java. See here to learn more about netstat command in UNIX. 12) How to you find all the process which has opened a file in Linux? will list all the process which has opened this file. you can see the command, PID, user and full file path to find out the process. See here to learn more about the lsof command in Linux. 13) How to send HTTP request from a Linux server? Here we have sent a GET request to http://api.openweathermap.org and received a JSON response. You can also specify timeout using curl -m option, see here to learn more about curl command in UNIX. 14) How do you create a full directory structure e.g. /parent/child/grandchild in UNIX? 15) How do you edit a large text file in UNIX without opening it? This command will find "Apple" in line and replace it with "Microsoft" string in the file bestphone.txt. 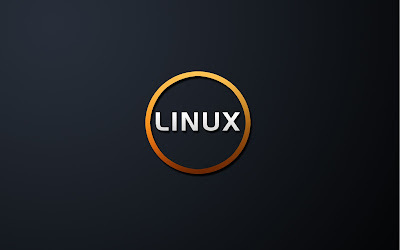 These were some of the frequently asked UNIX and Linux command interview questions and answers which appear in many IT Job interview which requires knowledge of UNIX operating system, Including programming job interviews e.g. core Java and J2EE interviews. Questions from UNIX and Linux is also very popular during C and C++ programming interviews. My putty keep disconnecting when working over SSH and travelling, is there a way to solve that ? Why can't we use find instead of ls? finding which thread from a particular process is hogging CPU(prstat command based). Let me know what do you think about these Linux questions? How do you find open files for a process in Linux? What is difference between ps -ef and ps -auxwww command? when to use which ps command?